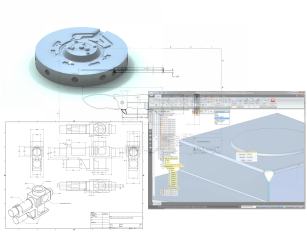 CAD design, detailing, and CAM programming relies heavily on the experience of the user and their ability to effectively utilize the software tools at hand. We utilize the latest available in these tools and stay in communication with industry professionals to ensure excellence in design services for our customers. professionals through on the job mentoring and our own brand of instructor led training. To request a quote, please contact us, via email, or at 224-441-2507.